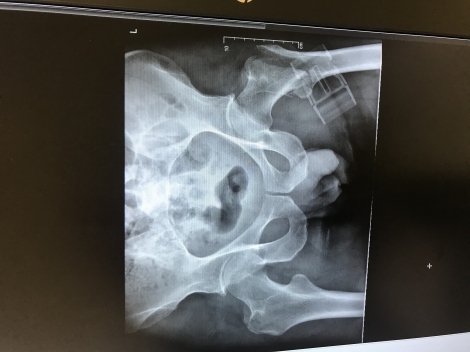 Phil broke the his top left femur in a crash during Sunday's VCLE Reliability Ride. Riders came down in front of Phil on the nasty S bend on Long Lane north of the Salt Box. Sam Amps was soon on the scene with many riders giving assistance until the ambulance arrived. 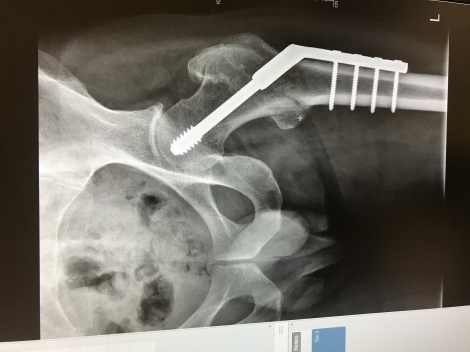 Phil had his operation on Monday where he had metal plates inserted. I visited Phil this evening at the Royal Derby Hospital and he was in good spirits considering everything. Phil Giles and another rider visited hm yesterday. Phil GB is due to be released at the weekend based on physio. His estimated recovery period is 12 weeks, but Phil thinks he can get on the turbo in 4-5 weeks time. I passed on everyones best wishes and speedy recovery. A massive thanks to everyone who helped Phil. Ooft. Get well soon Phil. I’m progressing well and just need to get the swelling down and be able to bend the leg more before they let me home. How are you fairing Phil? Hope you’ve got the tv working- Strada Bianche this weekend ???? A bit better each day, it's just a slow process. Can't wait until I can bend the leg enough to get on the trainer. Lots of good cycling TV coming up in the weeks aead though. Sorry to hear this Phil. I hope you are back on the bike soon. Hope you are getting some movement back Phil. Keep the physio going and enjoy all the cycling on the tv. Just about managed to turn the pedals yesterday, but only just. Better today and managed 15 minutes with a couple of rests. So that's it now - time to get my money's worth out of Zwift. Only the best. But I'll let you know if I start leaching rust.